Recently, Prof. JA Kozinski group at Waterloo collaborated with Profs. AK Dalai at U Saskatchewan and Zhen FANG studied SCWG of waste cooking oil. In the work, Dr. S Nanda (U Western Ontario) et al. studied waste cooking oil gasification at variable temperatures (375-675°C), feed concentration (25-40 wt%) and reaction time (15-60 min) to investigate their effects on syngas yield and composition. Maximum yields of hydrogen (5.16 mol/kg) and total gases (10.5 mol/kg) were obtained at optimal temperature, feed concentration and reaction time of 675°C, 25 wt% and 60 min, respectively. At 5 wt% loading, Ru/Al2O3 enhanced hydrogen yield (10.16 mol/kg) through water-gas shift reaction, whereas Ni/Si-Al2O3 improved methane yield (8.15 mol/kg) via methanation reaction. The trend of hydrogen production from catalytic supercritical water gasification of waste cooking oil at 675°C, 25 wt% and 60 min decreased as Ru/Al2O3 > Ni/Si-Al2O3 > K2CO3 > Na2CO3. 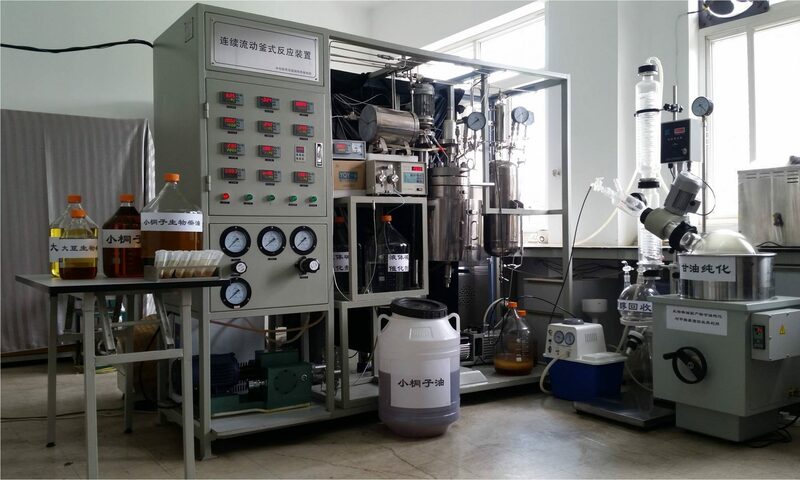 The results indicate the recycling potential of waste cooking oil for hydrogen production through hydrothermal gasification. S Nanda, R Rana, H Hunter, Zhen Fang, AK Dalai, JA Kozinski*, Hydrothermal Catalytic Processing of Waste Cooking Oil for Hydrogen-rich Syngas Production, Chemical Engineering Science, https://doi.org/10.1016/j.ces.2018.10.039 (2018).